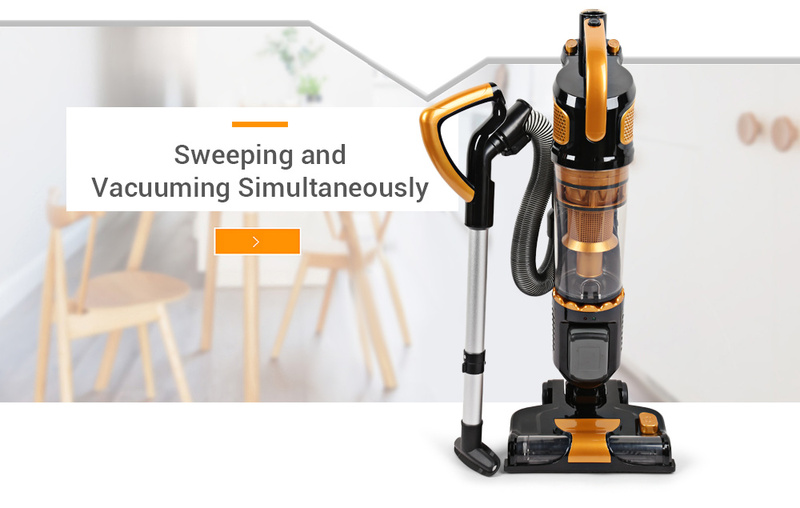 Highly-maneuverable stick vacuum cleaner is ideal for light-duty clean-up around the home. 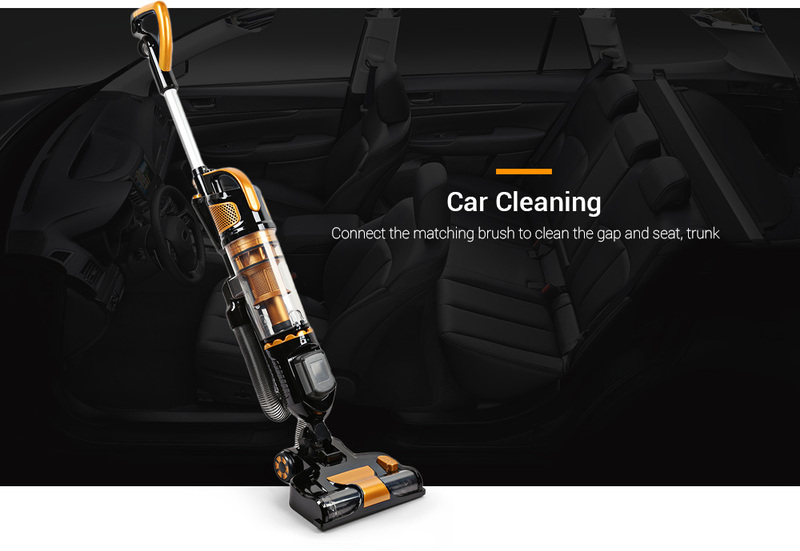 Normal brush, crevice nozzle, stiff brush and easy-off detachable handheld help easily clean dust of car garbage, furniture, stairs, and other hard-to-reach spots. 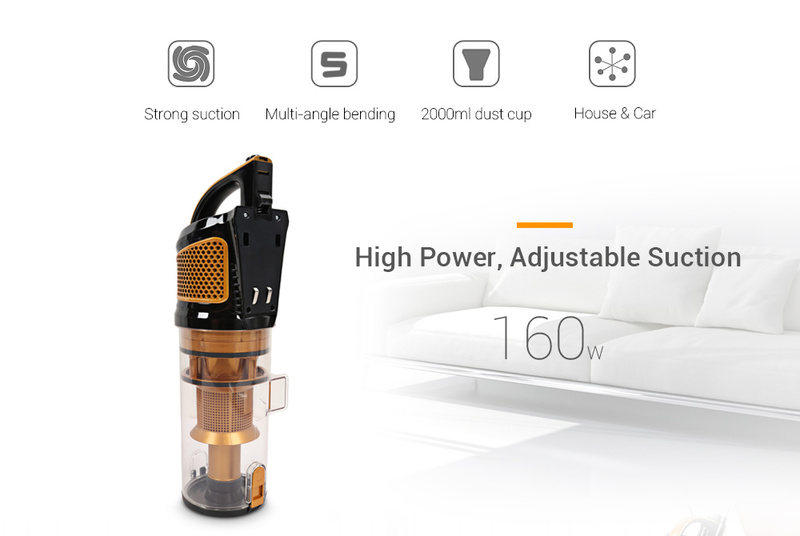 This vacuum cleaner provides an impressive of power, thoroughly clean the dust. Highly-maneuverable swivel pivots around table legs and slides under furniture. 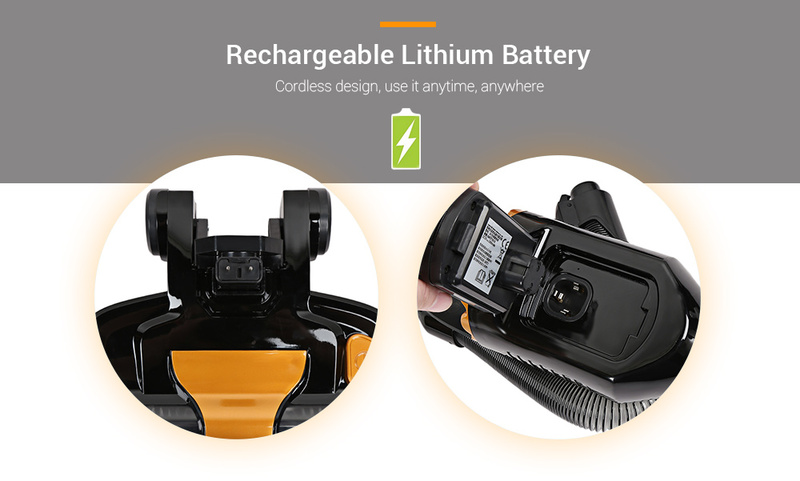 General mode cleans general dirt, hair, fine dust particles and allergens for a longer duration. 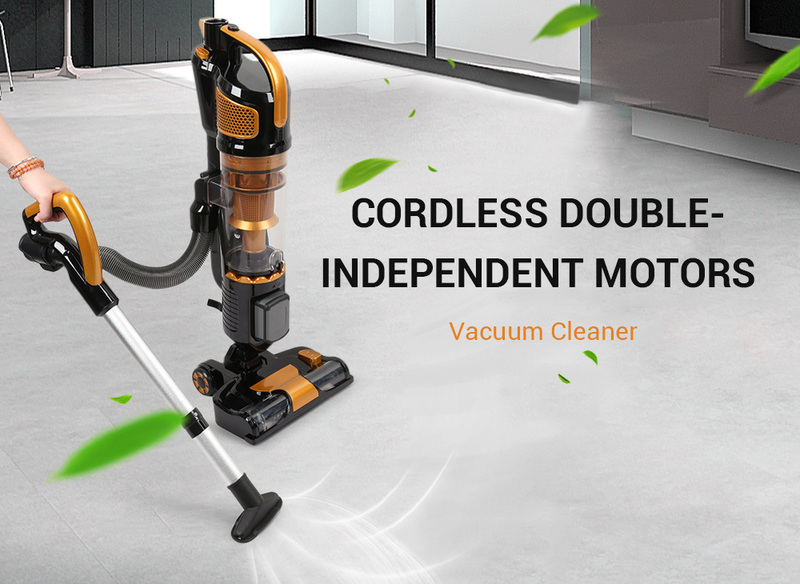 High-speed motor provides excellent dust pick-up ability on carpet, bare floor and tile. 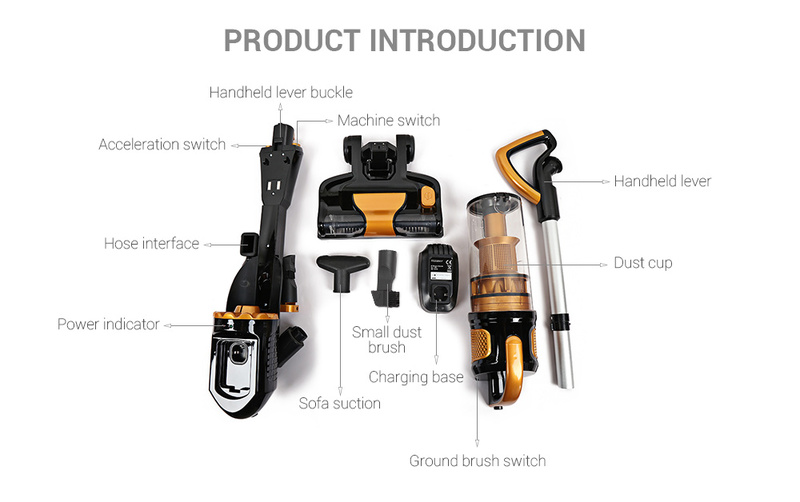 Dust collector, filter and the roller brush are easy to disassemble and store. 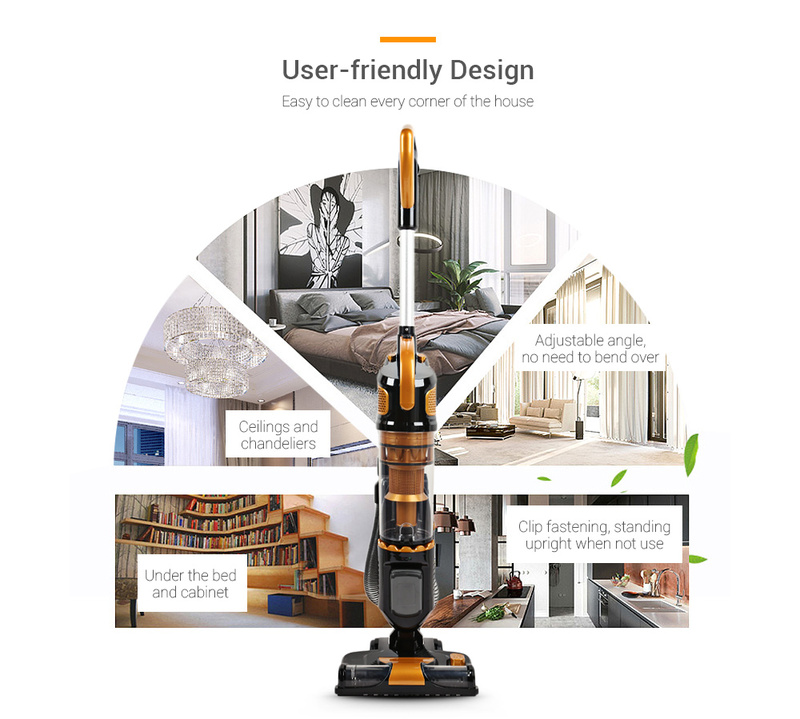 It can provide long-lasting cleaning. 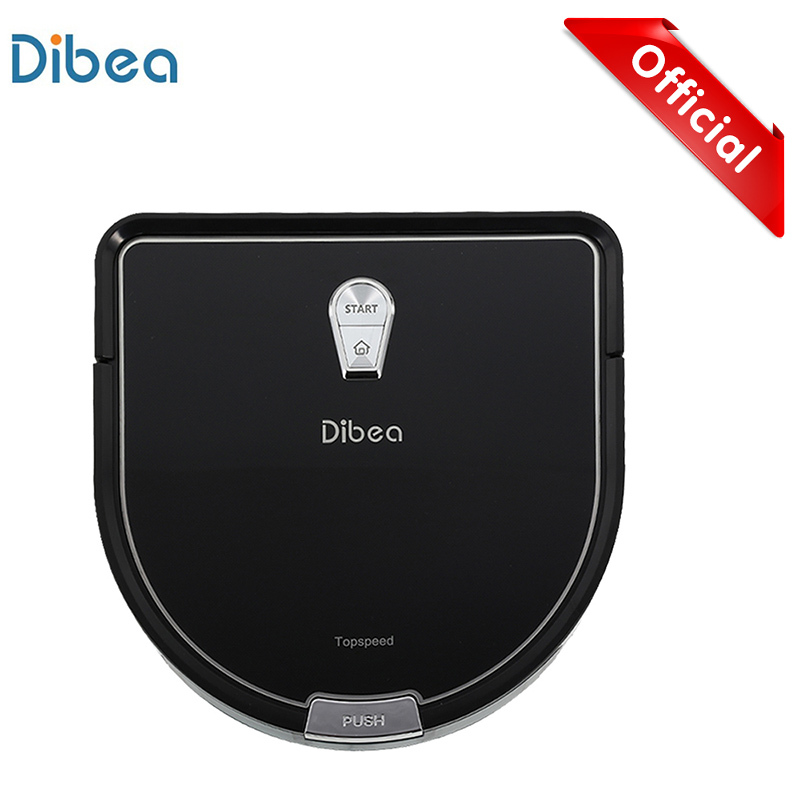 The working time depends on the using mode and the suction level.